Samsung has just unveiled its next-generation mobile processor, and in no uncertain terms, it’s a beast. The South Korean company has consistently sought to up the ante with its stream of Exynos processors, and the new Exynos ModAP does precisely that. Although there’s no telling whether Samsung plans to implement this new SoC into the imminent Galaxy Note 4, it’s more than likely to feature as the workhorse of the next flagship Galaxy S6, which we expect to release at some point in early 2015. 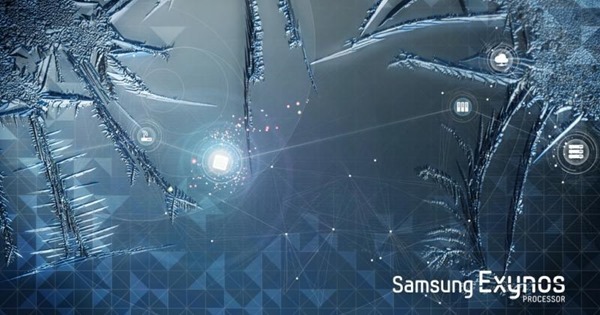 For the past couple of years, Samsung has chosen the date of September’s IFA exhibition in Berlin to announce the next Galaxy Note, and the same is expected this time around. Although we have a rough idea of its tech. specs, though, we don’t know the specifics of the processor, but with today’s unveiling of the Exynos ModAP, we do, at least have a better insight as to what this new chip is capable of. The new quad-core system-on-chip includes a baked-in LTE modem, enhanced image signal processor, and notably, is said to be more energy-efficient than those preceding. At a time when vendors are running out of ideas on how to make each new smartphone bigger and badder than the one that came before – the Note 4 is, after all, expected to include a 5.7-inch display just like the Note 3 (albeit sharper) – it’s good to see likes of Samsung looking to conserve those precious droplets of battery and deliver a performance that is not only superior, but longer-lasting. The improved image signal processor will apparently bump the performance of any cameras accompanying the new Exynos ModAP, and given how impressed we are by the Galaxy S5’s rear-facing snapper, we’re eager to see just how much the new SoC adds to the experience. Allied to the Exynos ModAP is the Exynos RF, which provides “seamless connection with enhanced data transfer speeds“, there’s also more memory bandwidth for those graphically-intensive games and apps, and all told, this announcement promises a great deal in the never-ending advancement of mobile devices. Let’s just hope, amid all the excitement, that Samsung does indeed plan to roll this chip out inside the Galaxy Note 4 in a couple of months’ time.